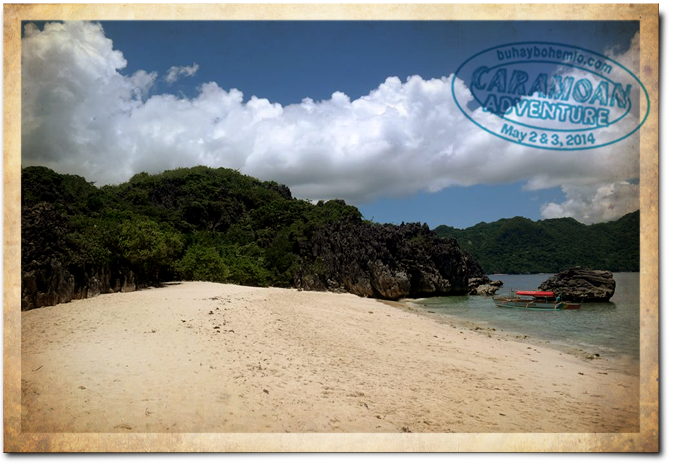 But before we got to Guijalo Port in Caramoan, we had to endure a total of 12 hours of land travel from our take-off in Las Piñas City to Sabang Port in San Jose, Camarines Sur. And that's real power driving by our friends Don and Fitz. 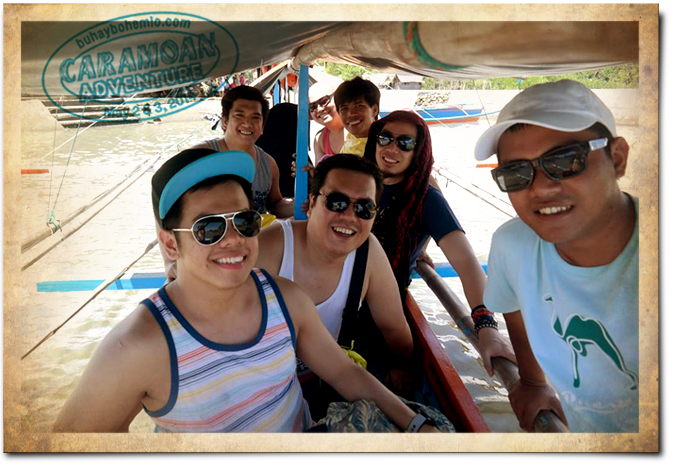 We left Las Piñas at midnight and we reached CamSur around 10 AM, and spent the night at CWC (CamSur Watersports Complex). 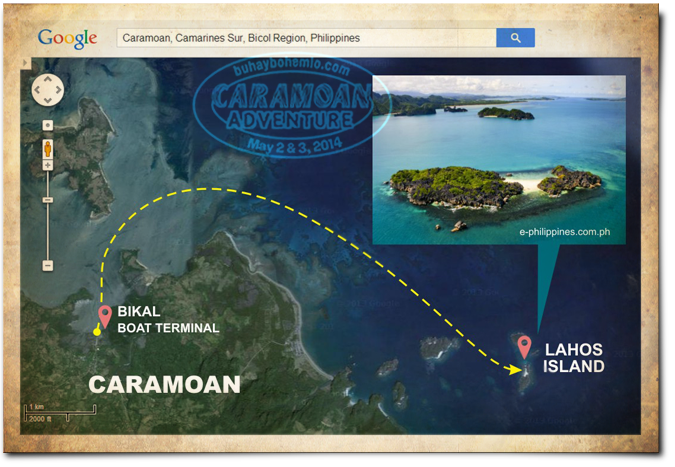 We had to wake up at 3 AM and drove another 2 hours to catch the 6 PM boat to Caramoan. 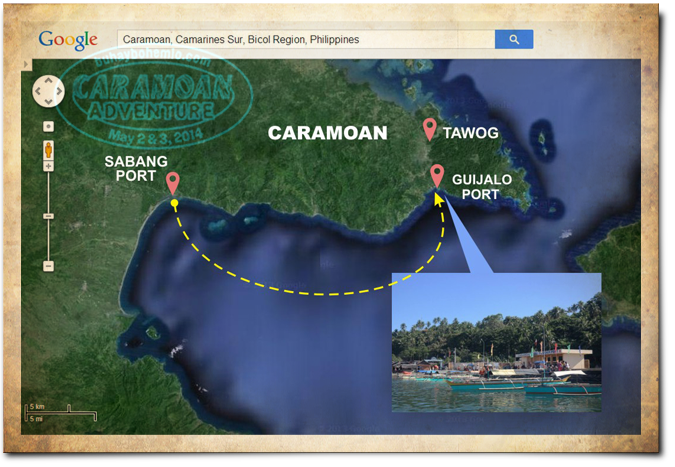 The boat ride from San Jose Port to Guijalo Port is another 2 hour travel. If you have long legs this would be a pretty uncomfortable ride unless you're on the frontmost seats. The passenger boat, i think, could squeeze in about 50 to 70 people. It's a good thing there are nice sceneries to entertain you during this long ride. 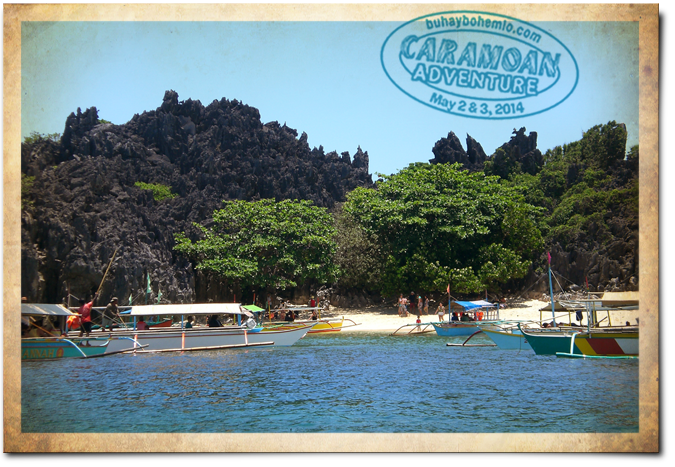 Like this one viewed from the left side of the boat which is the mainland of Caramoan. 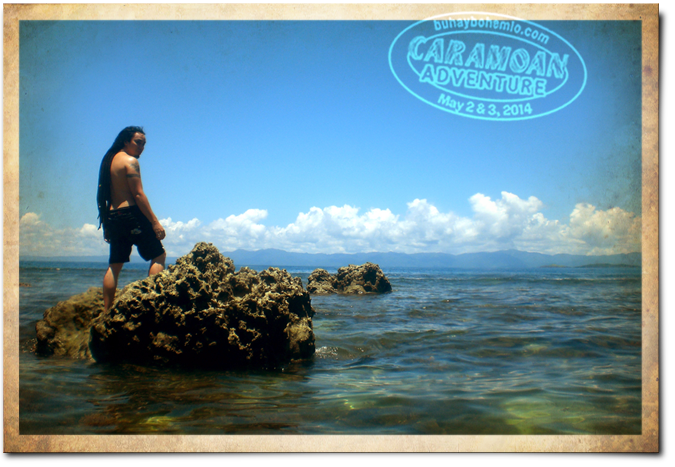 At the right side, if you're lucky, you will see from afar the peak of Mount Mayon peeping above other mountains behind the vast waters of Lagonoy Gulf. At Guijalo port a van brought us to our accommodation located in the town of Tawog. 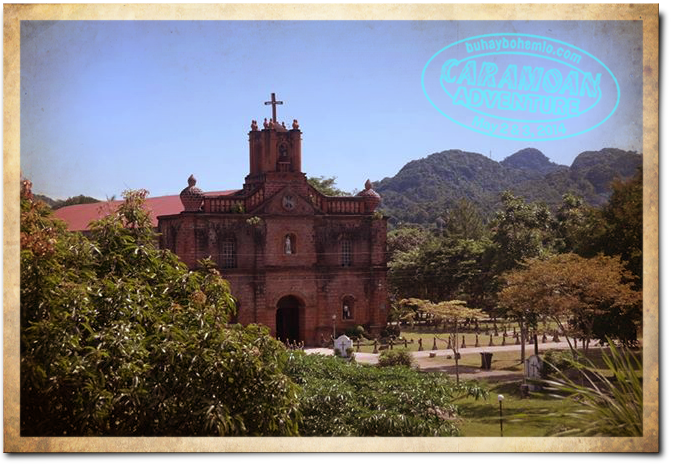 This lovely brick church from Spanish Colonial times, The St. Michael Archangel Parish, is seen from the balcony of Rex Tourist Inn. 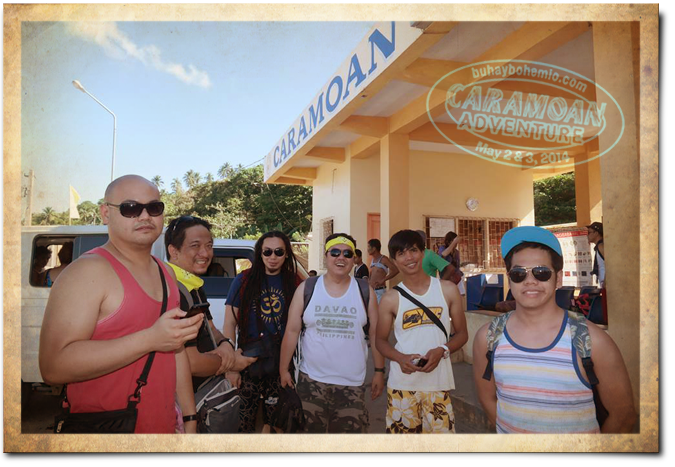 Shortly after an early lunch at Caramoan Gardens, our service van took us to Bikal Boat Terminal to begin our Caramoan Island-hopping adventure. That's our tour guide Mike in the top photo on the right. 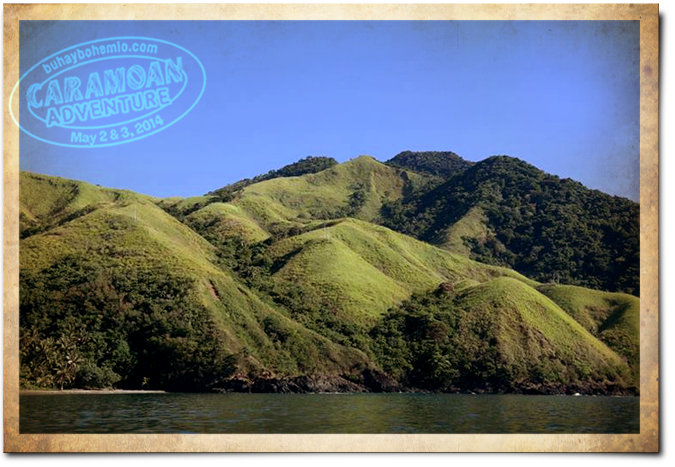 These are just a couple of many breathtaking islandscapes that we saw on our way to our first island destination. We were completely surrounded by beauty! My friends and I just burst into applause when we saw this. 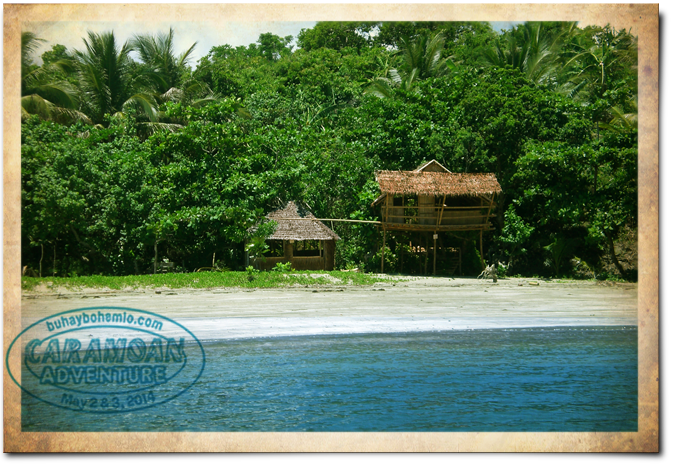 Can you imagine yourelves retiring in an island, living in a hut like this? I think I can if there's 3G signal. LOL. And so finally we arrived at our first island, Lahos Island. Two large rock formations in the island are connected by a "bridge" of sand that disappears as the tide rises. The word "laho" means "disappear". I also made people disappear in the photo above thanks to Photoshop. ^_^ There were a lot of visitors when we got there. 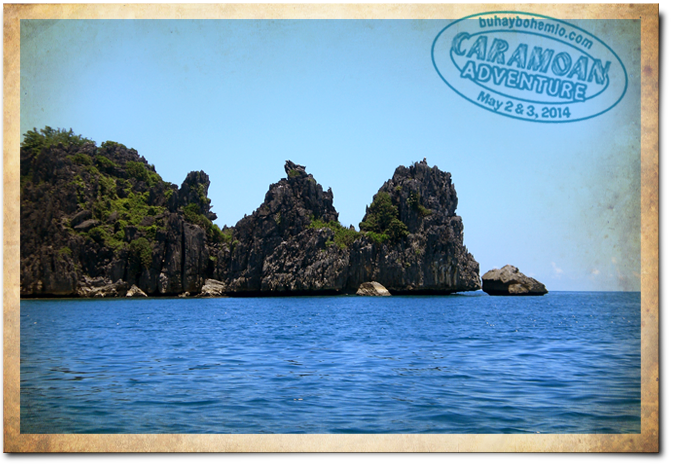 Caramoan is gaining popularity, Thryke observed. He, Chogie and another friend was there the same season 3 years ago and they almost had this island for themselves. 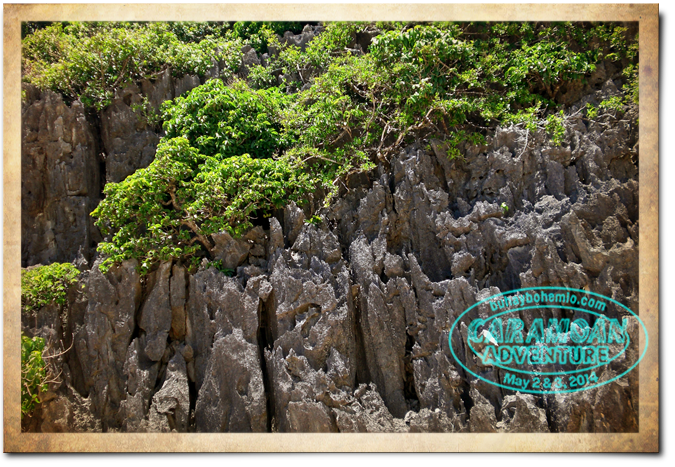 I'm quite fascinated by texture of these rocks in this island. I saw a chipped-off area and it is colored beige on the inside. Further inspection made me think that it's marble. Well, I'm no expert. 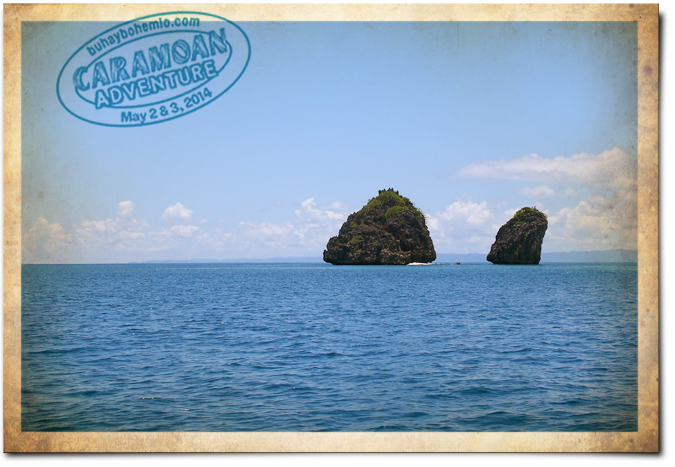 Watch out for the second island that we set foot on!